Guinea-Bissau: Between 19964 and 1974 the liberation movement, PAIGC, waged a war of independence against Portuguese colonial rule which had brutally scarred this small West African country for over a century. A coup against the Portuguese fascist regime in April 1994, brought independence to all the Portuguese colonies - including Guinea-Bissau, Mozambique, and Angola. These photos are from my visits to the liberated zones in 1974 and 1976. The successful struggles against Portuguese colonialism continue to be an inspiration, even as we watch these nations give up on the ideals of their struggle. Fina Crato (center) was one of my guides in the liberated zones. 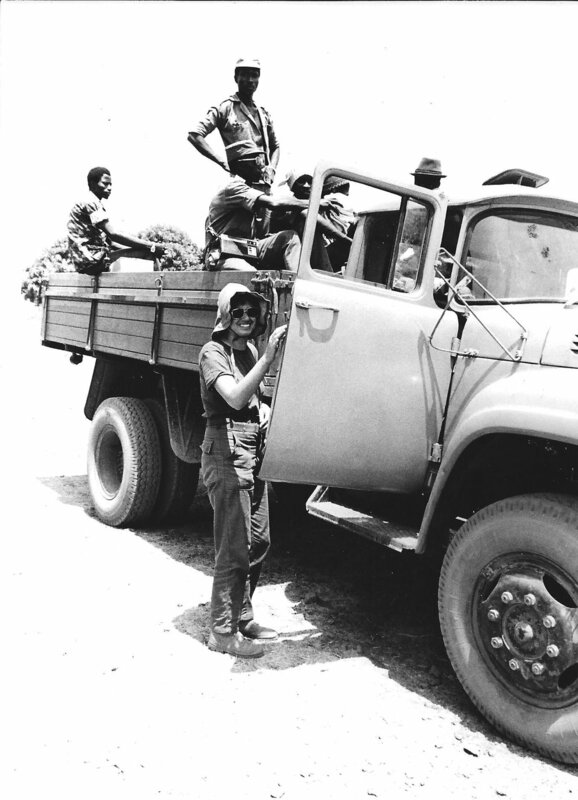 Setting off by truck for first part of journey into the liberated zones: Most was done by foot. Judith Marshall, Canadian cooperate and friend who I stayed with in Maputo, during a visit to a Maputo bairro circa 1981/82. She worked in the Ministry of Education.